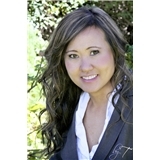 Maureen O Khoo MD, FACOG (Los Gatos) - Book Appointment Online! Dr. Khoo specializes in OBGYN, Infertility, complicated pregnancy management, laparoscopic surgery, laser surgery, family planning, contraceptive management, adolescent gynecology, menopausal medicine, preventive care/wellness program. She is affiliated with El Camino Hospital in Los Gatos, Good Samaritan Hospital in San Jose and El Camino Hospital in Mountain View. Dr. Khoo is trained in DaVinci Robotic assisted surgery. She accepts most major insurances and HMO, Santa Clara IPA and Affinity Medical Group. Nice doctor but I waited 40 minutes after my appointment time just to be let into a room, and then another 20 minutes to actually be seen. Also wasn't very impressed by the facility. Seems like it needs some renovations.